I'm sure that many here are more than willing to assist. But, if you are a new MRT user, why not contact MRT for support? New special WD CARD Extra ??? Can you provide a picture ? Maybe it's something like a ROM chip programmer ? Could it be a card that interfaces to the 12-pin header on WD Passports? every one should start from first step. but i respect your words bcoz yes i am accepting i will not give accuracy result to customer but i will give best results in future . 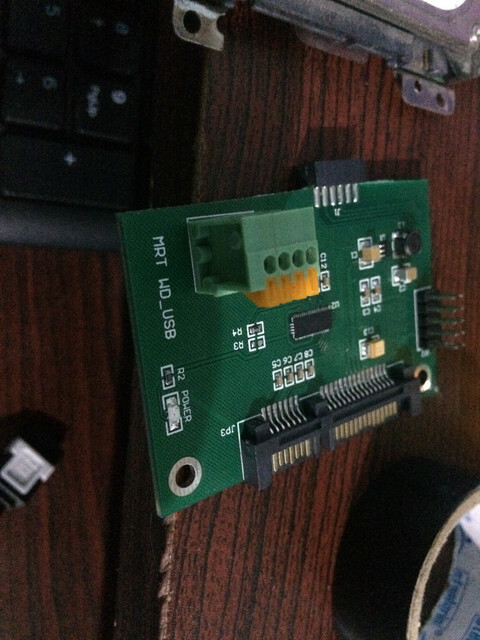 please make a tutorial for WD WD_USb Card installation in your website . It does not seem to be provided by MRT Lab, right? @applpp22, could you tell us the markings on ICs U1 and U2? @vx1 Thankyou for Your Response ..
Did you get manual or learnd to use and connect MRT WD_USB interface? 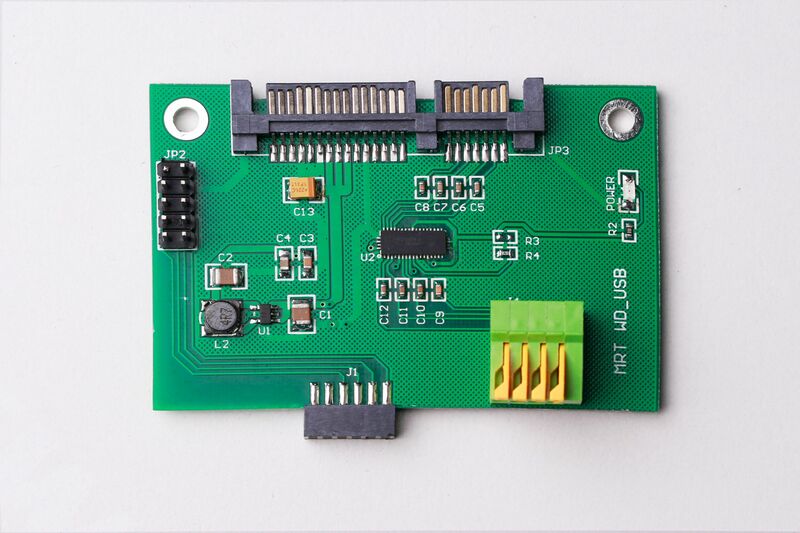 The adapter incorporates a differential switch IC (HD3SS3412). I confess that I don't understand the reason for this. I would have thought that a SATA redriver (eg MAX4952) would have been more appropriate.